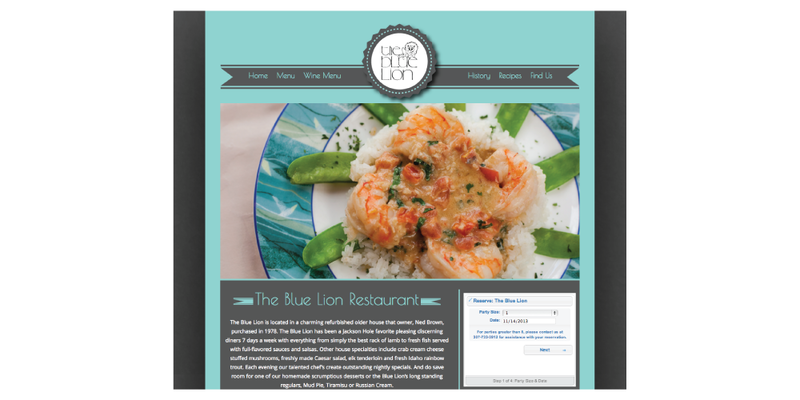 Blue Lion Restaurant is a classic staple of Jackson fine dining. Their rack of lamb has been the restaurant’s most desired meal for a number of years. Unlike their menu, their site needed a bit of an update. Gliffen designed a trendy new site for them using WordPress as a platform so they could easily change both their menu and specials. We tied their social media platforms to HooteSuite so they would be easier to maintain. The side bar of the website had quick links to their reservation system, TripAdvisor, and Yelp. We also made their site compatible on mobile versions so that tourist visiting Jackson could more easily pull up the Blue Lion website on their smart phones.